In the last blog post we described the steps (with screen shots) to check if you have anything in your “My Personal Email Templates” and “My Personal Documents” folders and how to make them public. 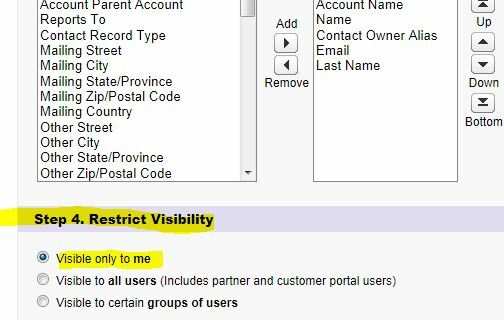 In this post, we cover your “Personal List Views.” These can only be moved with certain administrator permissions so they are special and require their own section. Each Salesforce user can follow the steps below to check if they have items in their personal folders. 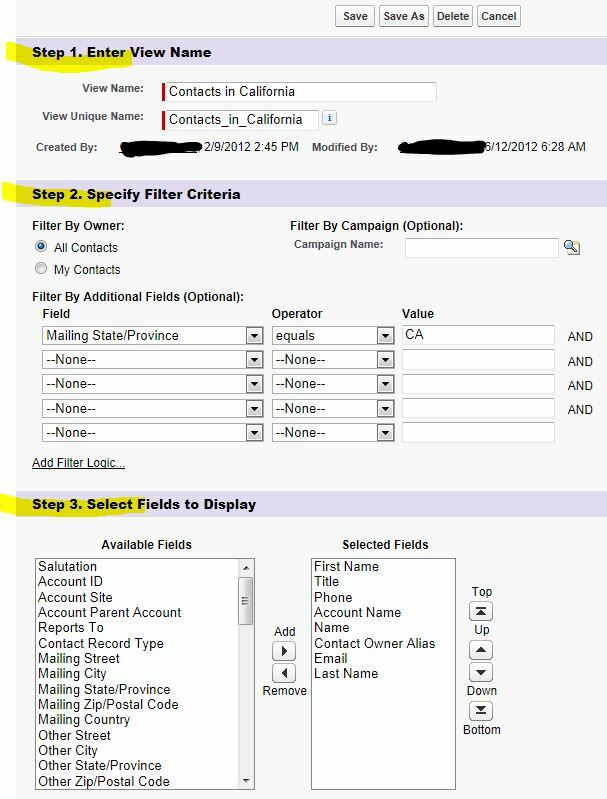 Then there are steps on how to move them once you have your Salesforce administrator make some modifications. Not to leave out the System administrators, there is a section after the List Views section called “For Salesforce Administrators” describing the steps to allow your users to move their items to public folders. The screen shots below are from our demo org so your views may differ slightly. The highlighted spots are what you will be looking for. Since making a personal list view public requires the “Manage Public List Views” profile permission, and as a best practice, only administrators should have this permission, you will need to take a screen shot of the list view settings or type them out so you can share them. To access your list view settings, first click the tab that holds the view. Then select your list view and click the “Edit” link next to it (picture below). To check if the list view is public or not, scroll to the bottom of the edit page and see if you have a “Step 4. Restrict Visibility” section (picture below). If you do not have the “Step 4” section, then the list view is personal and is only assessable by you. If you have the options in the picture below, then you have the “Manage Public List Views” profile permission and can make the view public. On the edit page, take a screen shot that includes all the settings in steps 1, 2, and 3 (picture below). Depending on the size of your screen, you may need to take multiple screen shots. Because there are many computer configurations and ways to take a screen shot, please contact your IT person for instructions that pertain to your configuration. Save the screen shots to your computer and then you can email them to share them. Repeat this process for any other list views you want to share. Since some visibility settings do not allow you to select users, you may want to create a public group for each of your users that need one. This may be unworkable if you have many users. You can also restrict visibility by role. To create public groups, navigate to Setup | Administration Setup | Manage Users | Public Groups and use the “New” button. You can add one or more users to a group. 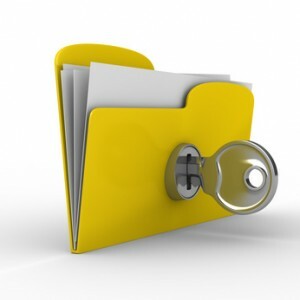 Creating public folders is the same for reports, dashboards, documents, and email templates. The only difference is where you go to create them. For email template folders, navigate to Setup | Administration Setup | Communication Templates | Email Templates and use the “Create New Folder” link next to the Folder drop-down list. To create public document folders, go to the Documents tab and use the “Create New Folder” link. For report and dashboard folders, go to the Reports tab, select the “New Folder” button (picture below) and select a report or dashboard folder. When creating public report or email template folders, you have the option to add any items from the Unfiled Public folder but we will skip that step here. Scroll down to the section where you can set the visibility. You can make the folder accessible to all users (which can clutter up the folders list on the Reports tab if you have many of these) or you can set the accessibility to only certain groups or roles. In the picture below, I have set the accessibility to the public group “John Doe” (which only has John in it). You can pick multiple groups and roles if you like. The setting below only allows users in the “John Doe” group and system administrators to see this folder on the Reports tab. Once saved, notify your users that they have access to the folders and they can follow the steps above to save their personal items. That’s it!